If you write a book that features cats and you happen to love them yourself, then a pair of shoes like this are a necessary purchase, wouldn’t you agree? 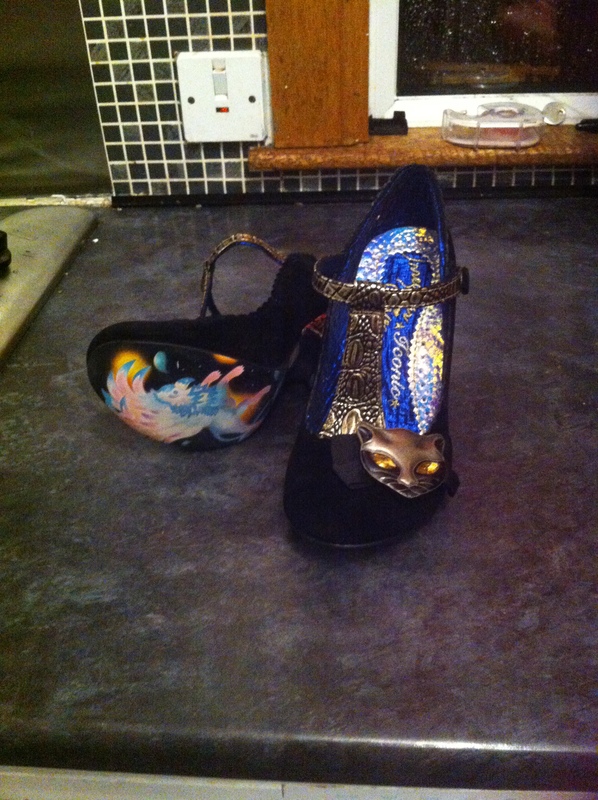 FYI, they are by Irregular Choice. Apparently Irregular Choice aficionados protect the sole by never wearing the shoe outside or persuading a kind friend to piggy-back them everywhere. Yes – about half an hour tops!